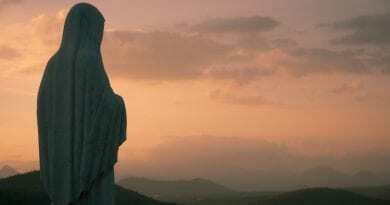 Our Lady at Fatima and Medjugorje have prophecized that without prayer and reconciliation with God there exists a possibility of a coming conflict between Russia and the “West”. 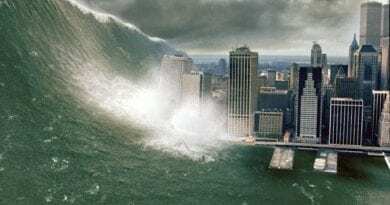 Is “The Great Prophecy” Unfolding? 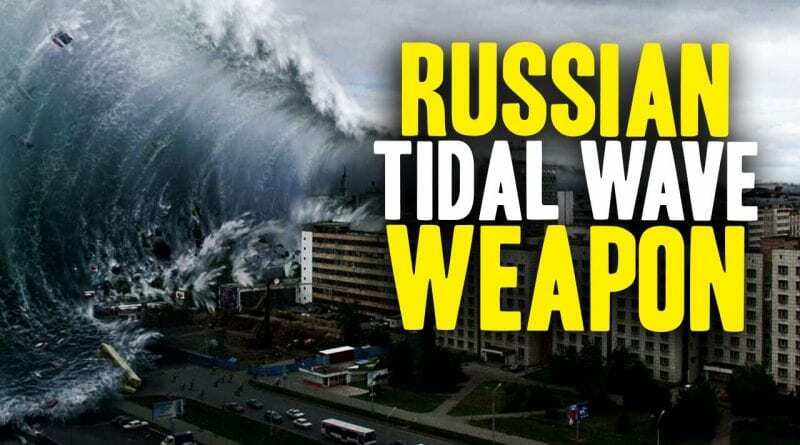 A key U.S. nuclear weapons document confirms the existence of a Russian long-range nuclear torpedo capable of rendering large areas of enemy coastlines uninhabitable for generations. Kanyon, known in Russia as Ocean Multipurpose System Status-6, is reportedly a very long range autonomous underwater vehicle that has a range of 10,000km, a maximum depth of 1,000m, and a speed of 100 knots, according to claims in leaked Russian documents. 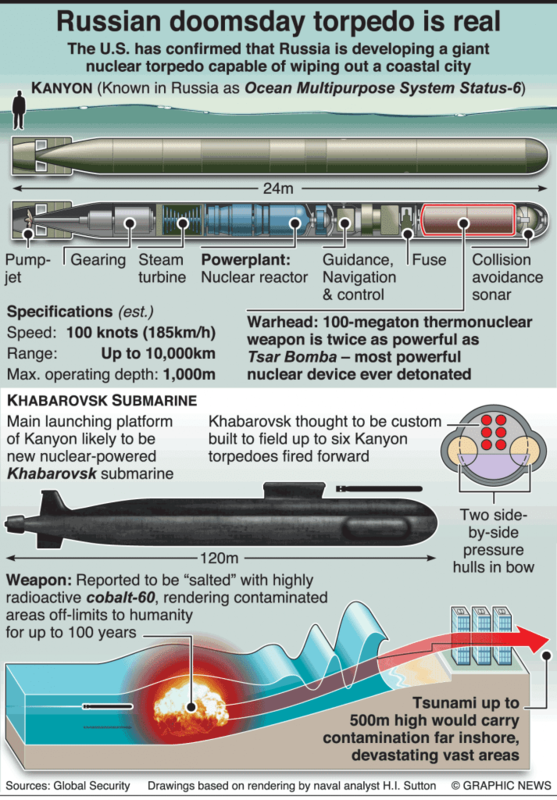 Kanyon’s payload is a 100-megaton thermonuclear weapon twice as powerful as the Tsar Bomba, the most powerful nuclear device ever detonated. We see in Europe and the United States, that is the “”West”, have taken the way where they deny their own roots, including their Christian roots which form the basis of Western Civilization. 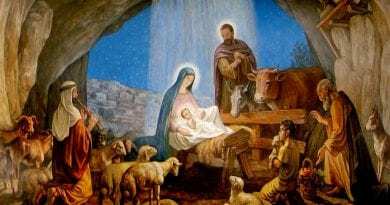 Christian Holidays and Celebrations are abolished or neutrally renamed as if they were ashamed of those Christian Holidays. With this method one hides away the deeper moral order ativan drug value of theses celebrations. What can be a better evidence for the moral crisis of a human society in the West than the loss of its reproductive function. And today in nearly all “developed” Western countries can not survive reproductively not even with the help of migrants. I sir am not afraid to defend my faith and there are many of us in America. To Carl. The Locutions to the World are false. 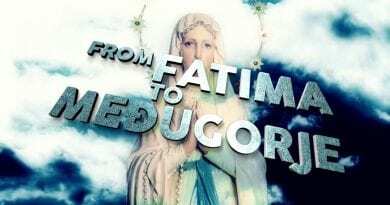 It is always better to stick with apparitions that approved by the church like Fatima and Our Lady of Good Success and Akita. Initial condemnation by the church does not necessarily mean an apparition or devotion is not authenic. Many seers or devotion were said to be false initially, for example padre pio, saint Faustina was persecuted for their belief or devotion. Quote from Pope Urban the VIII in cases which concern private revelations it is better to believe than not to believe for if you believe , and it is proven true, you will be happy that you have believed, because our Holy Mother asked it. If you believe and it should be proven false you will receive all blessings as if it had been true because you believed to be true. 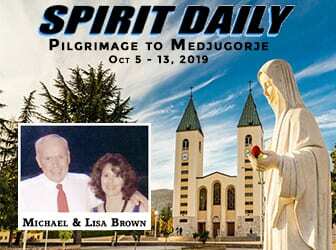 The church originally said Medjugorje was false as well. Did you believe the messages were false. I didn’t God Bless you and Mystic Post. Their are a lot of people in the US praying for this country and for Our President. The President that always refers to God in his speeches. Why is liberal media in USA obsessed with Putin and Russia? 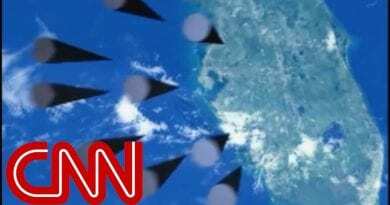 I guess MSNBC and CNN are wrong about everything except Russia?